Give the Perfect Birthday Gift! For more than fourteen years Anita has been teaching students ages 5 to 75 western horsemanship using well-trained ranch horses. Through Anita's professional horsemanship tutelage, students learn to ride with confidence and balance at the walk, trot, and canter. 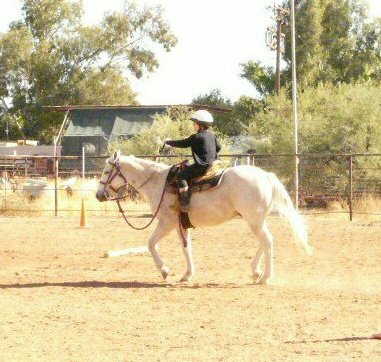 Using natural horsemanship methods, even beginner students learn proper riding techniques to give them a safer, more balanced ride. 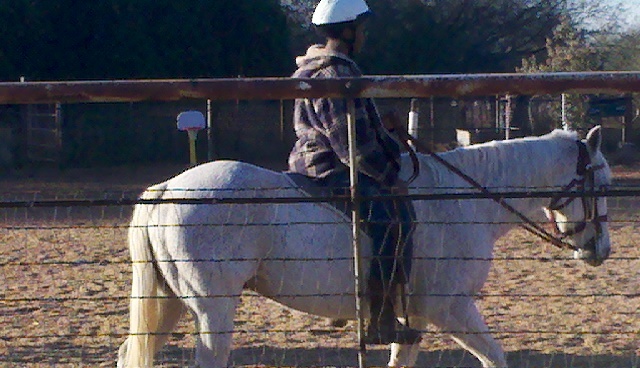 Students also learn how to groom and saddle the horse, along with basic ground leading. Students also learn the various parts of the horse, as well as the saddle. All riders are required to wear an approved riding helmet. Boots and jeans are recommended riding attire. The end result of learning western horsemanship is to learn how to effectively communicate with your horse both under saddle and on the ground, which results in an enriching relationship between the horse and rider and a safe, enjoyable balanced ride. Students learn how to communicate with the horse using the various aids available, including the legs, seat, and light handling of the reins. Private to semi-private lessons afford each student his or her best chance for success in becoming an accomplished rider. Because every person is an individual, learning at their own level and pace provides for optimum learning. It is my goal that every student achieve success and progress in their horsemanship skills with each lesson. My teaching experience has demonstrated this. While there is an inherent risk involved in horseback riding, as there is an inherent risk in most sports and even many every day activities, there are several things that can be done to lessen some of those risks. As a certified instructor, it is very important that I strive to provide my students as safe an environment as possible, safe tack, proper tools, and proper teaching methods to help insure the safety of my students and guests. There are many areas that cannot be compromised including the use of proper ASTM-SEI certified horseriding helmets for all riders, including proper fit; the use of well-trained, sound horses; the use of tack that is inspected regularly; and a riding arena that is clear of debris and other items that have no part of the lesson process such as tractors and other equipment. In addition, teaching safe practices when working with horses is also paramount to a safe and fun experience. I am thankful to say that in more than fourteen years of teaching, none of my students or horses have been injured while under my tutalege during their horsemanship experience. For optimum progress in acquiring horsemanship skills, it is recommended that a student take weekly lessons. 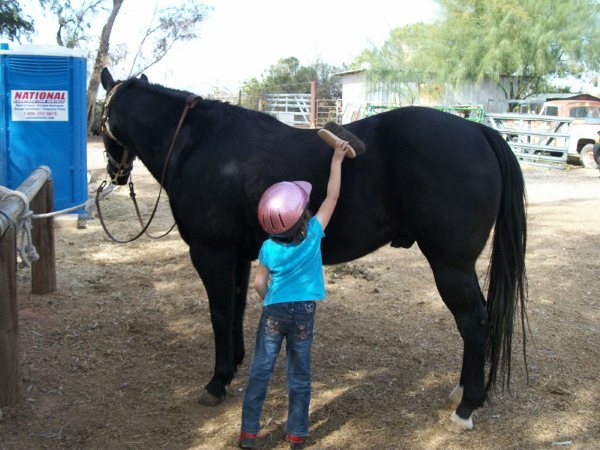 We are an accredited ESA provider of therapeutic riding through the Arizona State Dept. of Education ESA program. Parents, family, and friends are encouraged to observe the riding lessons while comfortably seated adjacent to the arena.